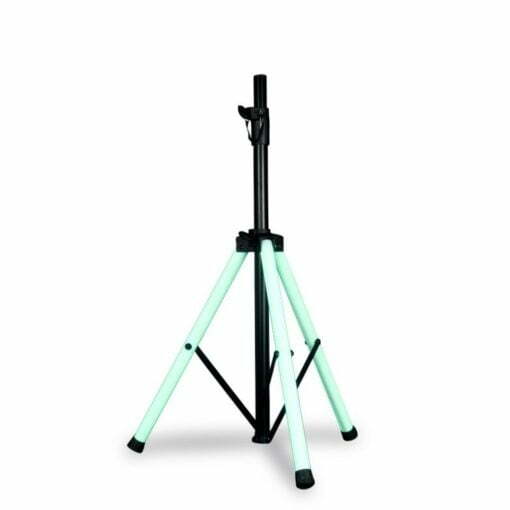 American DJ Color Stand LED. Multi-colour LEDs, 22 dynamic modes! 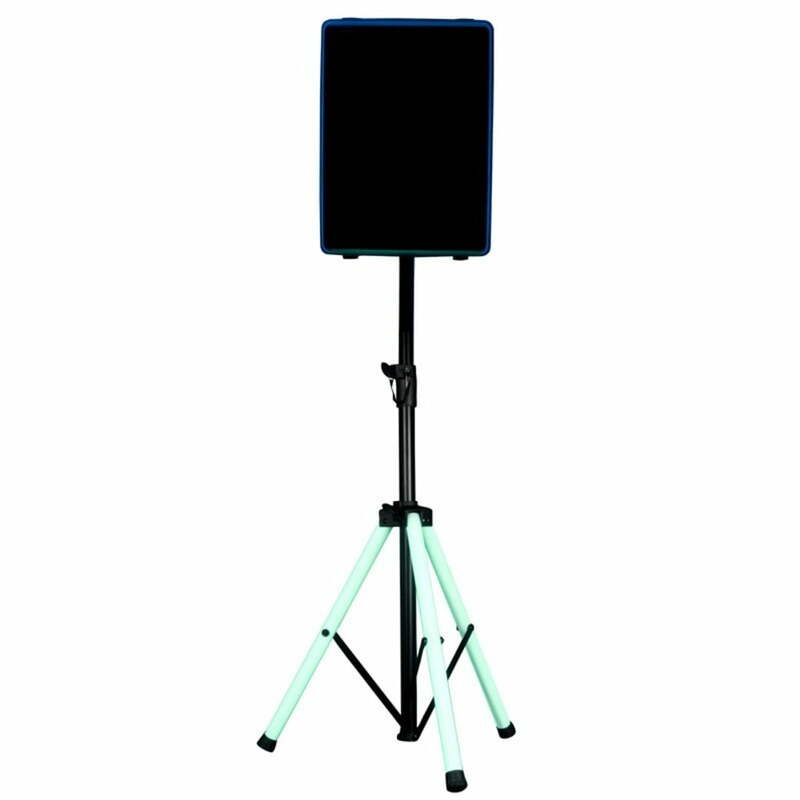 American DJ Color Stand LED. Multi-colour LEDs, 22 dynamic modes! 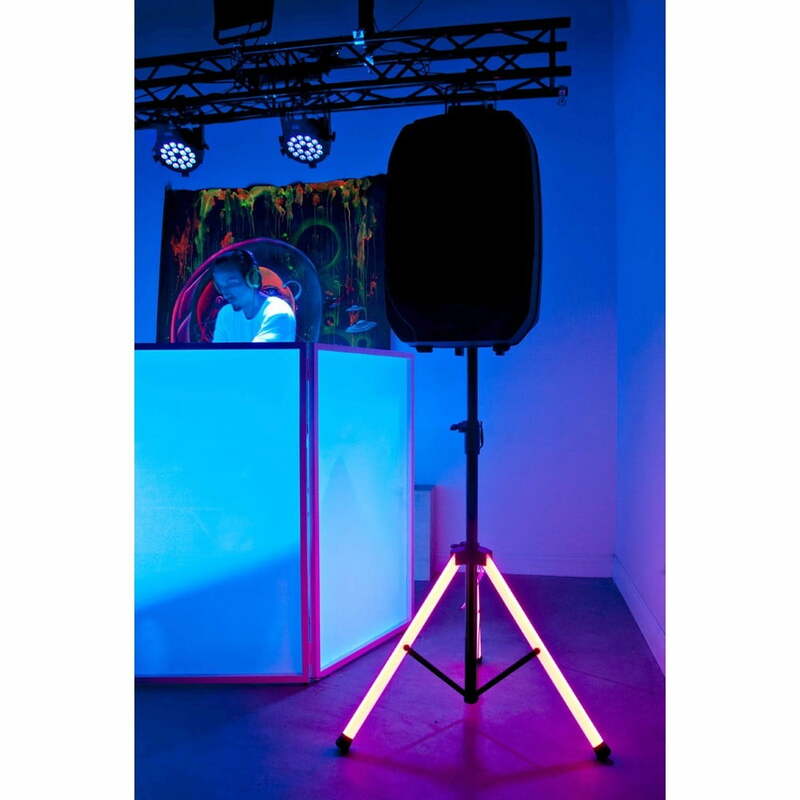 The American DJ Color Stand LED is a speaker stand featuring eye-catching multi-coloured LED lighting built into its legs. The lights are controlled via the IR remote (included). 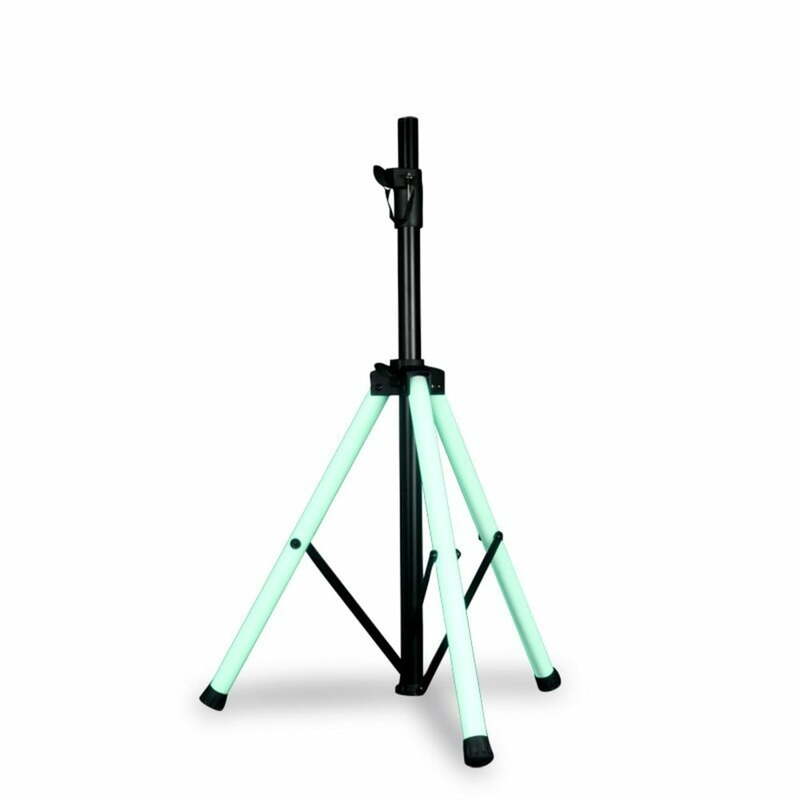 This stand not only looks great with its eye candy light effects; but it also doubles up as an effective safety feature which stops people from tripping over your stand in the dark. 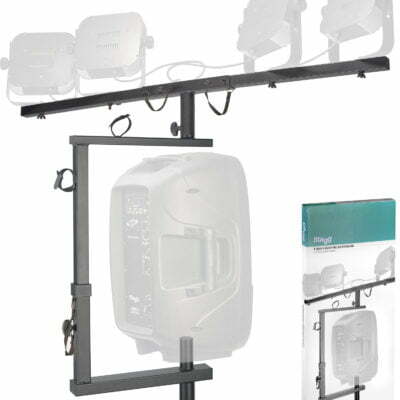 The Colour Stand LED can also be used with a scrim. If you use portable PA speakers, you no doubt have or need speaker stands. 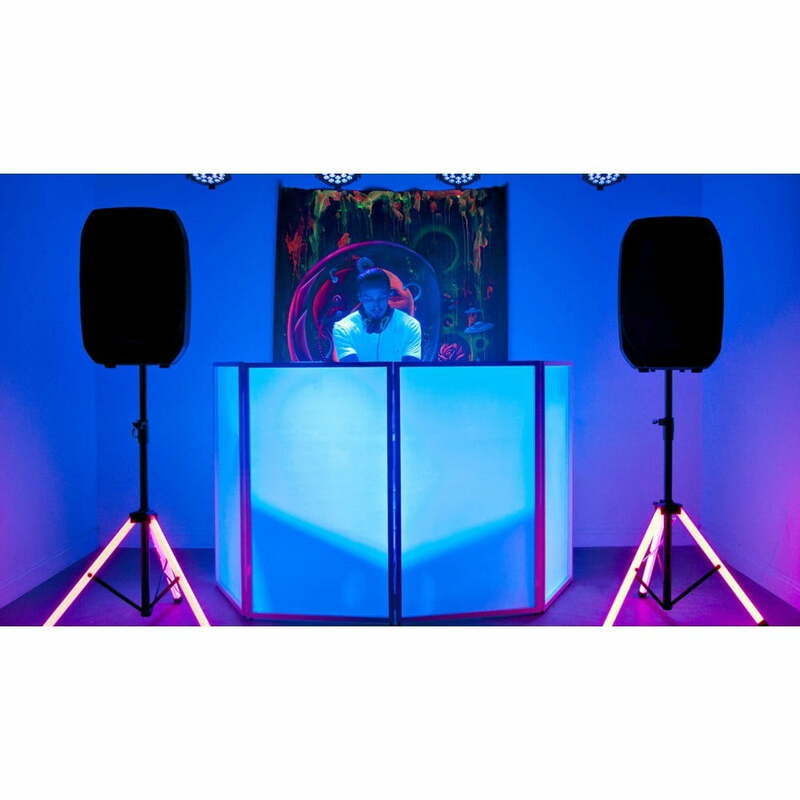 American DJ have reinvented the humble speaker stand to create an eye-catching statement that helps to create a safe and inviting atmosphere. With a familiar shape and offering adjustable height between 96cm and 180cm, the Color Stand LED can support any speaker up to a weight of 27kg. However, what sets it apart from any other stand on the market is its legs. 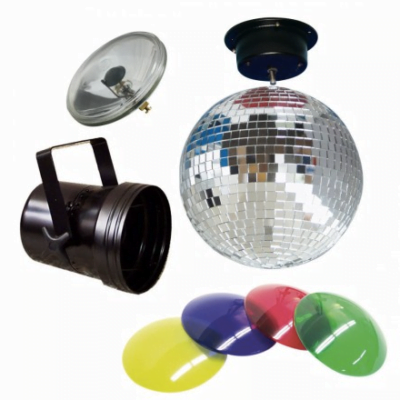 They are constructed from robust opaque polycarbonate and contain a series of multi-colour LED’s. The remote control can be used to make the legs glow in a choice of 20 static colours; or come to life through the use of 22 dynamic modes. They can also be adjusted with variable speed and brightness. 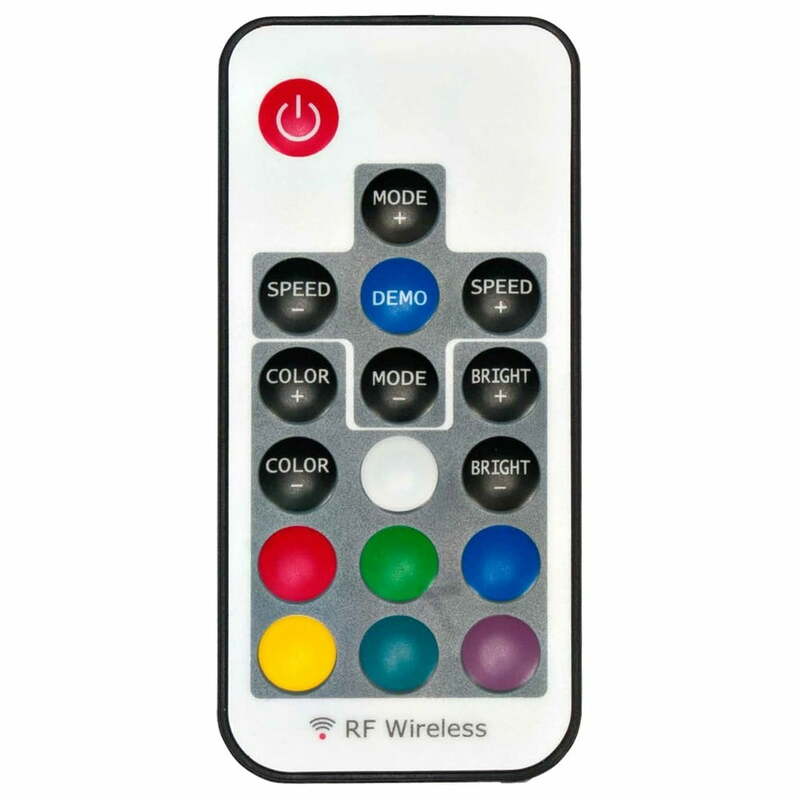 Controlled via an IR remote (supplied as standard) the Color Stand LED is not only ideal for creating a professional look, but also adds a measure of safety as well.